I prefer to make compilation CD’s on the spur of the moment. I usually do that at night, when the rest of the family is asleep. By the time I go to bed, the room looks like a bomb has exploded, with records, CD’s and tapes everywhere. But one evening is in most cases enough to come up with 80 minutes of music on my hard disc and a sleeve on my desk. Some compilations take longer. For certain genres I record whatever I find in map on my computer, and when I have enough material, I sort it out and compile a CD. These CD’s are more like an archive. 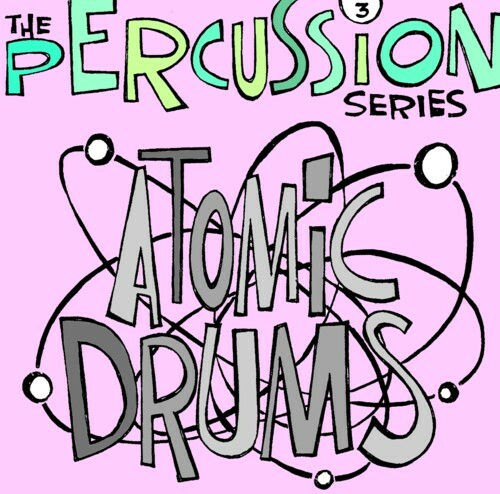 One such genre is ”percussion” . That means basically any piece of instrumental music with loud drums. I began collecting this kid of music long time ago, because there were no CD’s for sale with heavy percussionated music. And maybe I missed something, but there is still not much available in this sector. And what there is, is often too soft and too obligatory for my taste. I prefer my own musical farts.